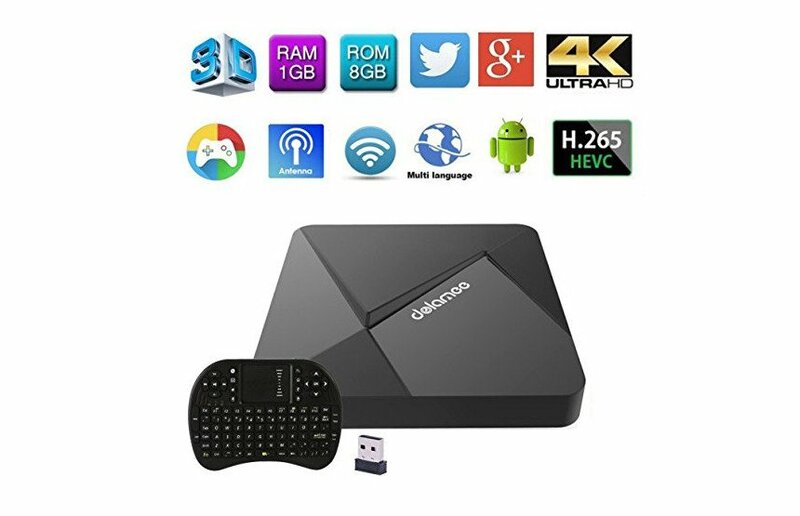 The RK3229 Edal Dolamee (New Version for 2017) is a nice little Android TV Box that supports Kodi. There are several versions or “makers” of the Edal unit, but we strongly recommend you get the one made by “DOLAMEE” from Amazon for around $50 because many people have tried this specific unit and gave it great reviews. This Android TV Box has 2 USB ports! This is perfect for Emulators because you can buy two inexpensive USB gamepads from Amazon for around $10 each and plug those suckers into your TV box to enjoy classic SNES and N64 games. Installing Kodi on the RK3229 Edal is easy, since the unit has a full-fledged version of Android OS installed on it. To install Kodi on this TV box should be a simple matter of launching Google Play Store – then search for Kodi, press INSTALL, then OPEN. After installing Kodi, install TV Addons! Also has a SD/SDHC/MMC Card reader! Installing Kodi on the RK3229 Edal Android TV Box is easy – just use the Google Play Store that’s in the TV Box’s home screen. In the Google Play Store, just search for “Kodi”. Then select INSTALL from the Kodi app listing in the Play Store. Alternatively, you can sideload the Kodi APK file to your Android TV Box using an Android phone. If you want to run Linux on this Android TV Box, you’re better off with a different type of Android TV Box – or don’t use an Android-based device to run straight-up Linux. ARM Linux will run on a RK3229, but source say the Armlogic S905 is better for that. See this link to install Linux on RK3229, which also works on any other “Rockchip” device like the Edal Dolamee. The S805 is a comparable Kodi box, but also supports Linux very well. This is important for techies who want to experiment with the device, but is not important for people who simply want to run Kodi on their Android TV Box. The new RK3229 Edal Dolamee is a great entry-level streaming device. It’s sure to out-perform the Amazon Fire Stick, has 2 USB ports (perfect for Game Controllers or USB thumb drives / external hard drive), and has good reviews on Amazon. RK3229 Edal: $46 Android TV Box for Kodi, Linux and EMULATORS: How to Set Up the RK3229 Android TV Box to run Kodi and other Google Play Store apps.